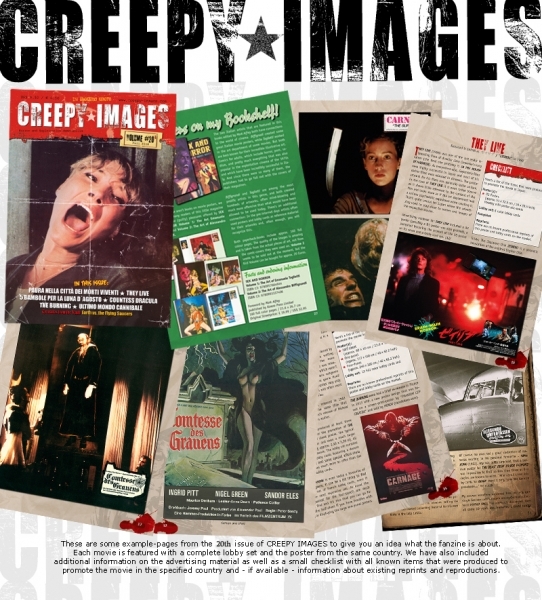 CREEPY IMAGES is the first publication entirely devoted to rare and hard to find movie posters and lobby cards from all over the world. Each issue includes the complete lobby sets and poster artworks for each featured movie from a specific country. Text is in English and each edition is printed in full colour throughout.